Romantic movie quiz: Can you spot all 20 iconic moments in this scene? Valentine's Day is just around the corner and our minds have turned to romantic flicks - from Titanic to Ghost, Pretty Woman and more. 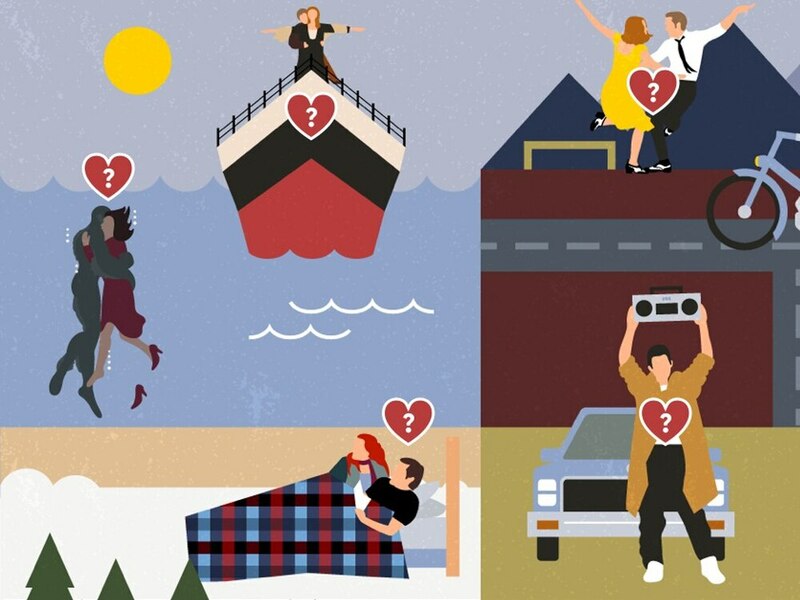 Can you guess all 20 romantic movies? International flower delivery service FloraQueen has launched a new quiz challenging users’ knowledge of iconic moments from 20 popular romantic films. From the 1942 classic Casablanca to 2018’s blockbuster hit A Star Is Born, a memorable moment from each of these movies have been illustrated in a single scene, which can can be viewed in full here. Click image to open interactive version (via FloraQueen).